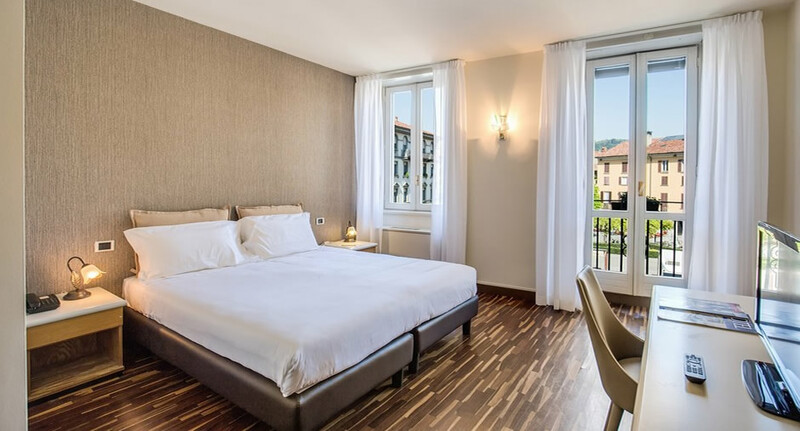 The Albergo Firenze Como is keen to provide guests with a customer orientated experience that adds something special to their stay. Our staff are therefore highly trained and multi-lingual and strive to be as friendly, welcoming and helpful as possible. Available 24hrs per day on our hotel reception, our staff are there to help solve any problems you may have or provide any information that you may need. This includes not only the provision of tourist information but also includes assistance in arranging activities and trips, not to mention help in booking taxis, restaurants and excursions. In addition to the plethora of regular 3 star hotel services that we offer, we also offer guests a complimentary comprehensive buffet breakfast each morning as part of the room price served in our impressive breakfast hall overlooking Piazza Volta. Our hotel bar also ensure that guests can relax in style before exploring the local surroundings.